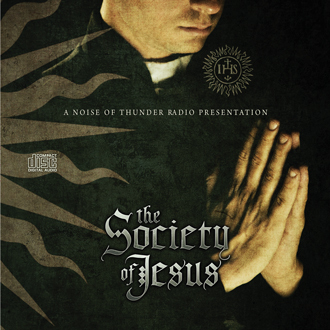 The Society of Jesus (a.k.a. the Jesuit Order) is perhaps the most controversial organization of the last 500 years. Their activities have been warned about by kings, princes, preachers, and even American presidents. By the year 1931, the Jesuits had been expelled from at least 83 countries, city states and cities for their subversive activities around the world. Nineteenth century historian, Thomas Carlyle called their founder, Ignatius Loyola “the poison fountain from which these rivers of bitterness that now submerge the world have flowed.” Despite these things, few Christians in modern times know either their history or their present activities in the world today. In this dynamic audio CD, documentary filmmaker Christian J. Pinto interviews Dr. Ronald Cooke, author of the book, The Jesuit Kulturkampf in the United States, as they unfold important information about the Jesuits in modern times. This CD differs from our other CDs on the Jesuits in that it specifically focuses on their activities in America today through ecumenism and communitarianism.